Bees United, Brentford's supporters' trust, has agreed to sell its entire shareholding in the League One club to Matthew Benham. 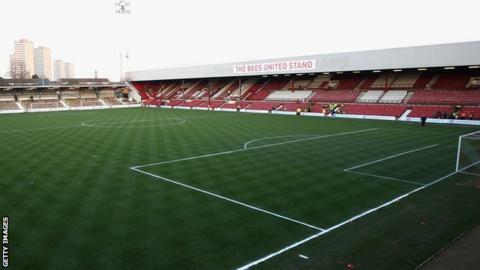 Bees United have held a majority 60% shareholding in the Griffin Park outfit since January 2006. The timescale and date for the transfer of ownership is yet to be announced. Bees United chairman David Merritt said: "We look forward to continuing to help safeguard the future of the club as we work for future success." In 2009 Benham agreed to invest £1m pounds a year into Brentford until the end of the 2013-14 season in return for preference shares. At the end of the deal, Bees United would have the option to repay Benham's loans to the club and buy his preference share, while Benham would hold the option of taking majority control of the club. Bees United's decision to sell their shareholding effectively ends the five-year deal between the two parties. "I am looking forward to the next phase of my involvement with Brentford Football Club," Benham said. "I am very pleased at how the partnership with Bees United has developed. "Their role will be as important as ever as we all strive for greater things for Brentford, which is what we all want to achieve."